At Play for Peace, we teach people to be leaders for peace and how to live and play together in creating more peaceful communities. Play for Peace is a global organization, now in its 10th year, which brings together children, youth and organizations from communities in conflict. As part of our community development initiatives, we use play to promote relationships among people whose communities suffer from a history of cross-cultural tensions. Play is one of the primary ways that human beings learn. In this non-threatening environment, children have the opportunity to play with peers from other cultures and communities consistently, over time. Play for Peace is all about change—changing the way people relate to each other. 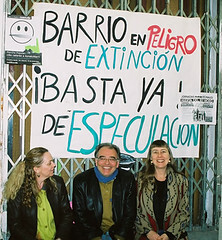 – To promote positive relationships among the people of societies in conflict. -To foster leaders for peace around the world. -To build self-sustaining learning communities in which all of our regions work interdependently to build a more peaceful world. -To create a non-threatening environment, free from fear, in which people of all ages can experience the joy of play. 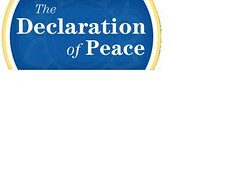 The Declaration of Peace is a grassroots nonviolent action campaign calling on the US government to establish a comprehensive plan to end the US war and occupation in Iraq. It is working to stop US military escalation in Iraq, to defund the war, to bring the troops home safely, and to support a comprehensive peace process. Last September 21-28, thousands of people and over 500 endorsing organizations participated in 375 Declaration of Peace event in cities and towns across the United State. These public actions for peace were the culmination of a four-month initiative to call on members of Congress to publicly commit to co-sign legislation to bring the US troops home safely and to support a plan for a just and lasting peace. One of the objectives of this campaign was to contribute to making the fall mid-term Congressional elections a referendum on the war. 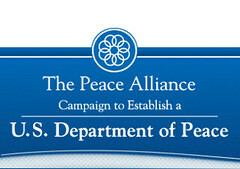 Domestically, the Department of Peace will develop policies and allocate resources to effectively reduce the levels of domestic and gang violence, child abuse, and various other forms of societal discord. Internationally, the Department will advise the President and Congress on the most sophisticated ideas and techniques regarding peace-creation among nations. Join us now. 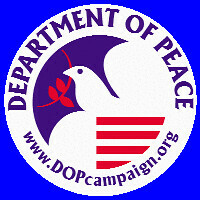 Create a Department of Peace. The Chicago Area Peace Corps Association (CAPCA) brings together more than 400 returned Peace Corps Volunteers who live and work in the Chicago area. Organized in 1979 and incorporated in 1991 as a non-profit organization, CAPCA is affiliated with the Washington, D.C. based National Peace Corps Association. 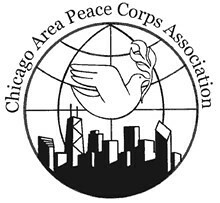 CAPCA ‘s primary objective is to fulfill, in the Chicago area, the mission of the National Peace Corps Association: Continue to work for world peace, understanding, and well-being, with an emphasis on bringing the world back home. The group works for this objective by funding Peace Corps Partnership projects, supporting youth programs that offer leadership and cross-cultural experiences, and providing speakers to organizations interested in the Peace Corps and international development. In addition, CAPCA coordinates a variety of volunteer projects that benefit local community service agencies.